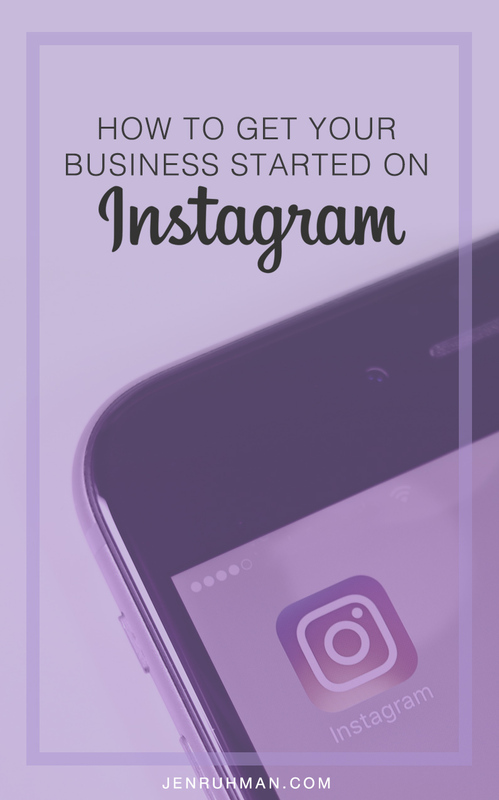 How to Get Your Business Started on Instagram: If you’re a business getting started on instagram, this is a quick guide how to get your business started on instagram + creative marketing ideas. (Enjoy the photos I took) With over 100 million instagram users, (source Mashable) it’s well worth your time. Maybe you just registered your business name under a new instagram account and you’re not sure how to get started. 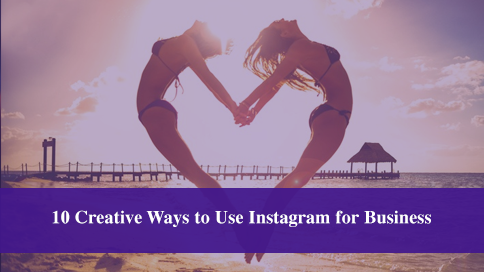 There’s so many benefits using instagram for you business and I’m going to show you creative ideas how to start posting great visual content on instagram. (if you haven’t already) – Be sure to choose a username that reflects your brand ,perhaps the exact same username as your twitter account and Facebook fan page. This way your social media will be seamlessly blended and easy for people to find. Add your profile photo or logo. In your bio, try to be specific and concise what your business does/services provided. Add your website or landing page you build just for mobile instagram users. You could change this regularly to reflect your latest update. Connect your social media accounts to instagram. Example below: I added my location and connected my accounts to update on Facebook and Twitter. 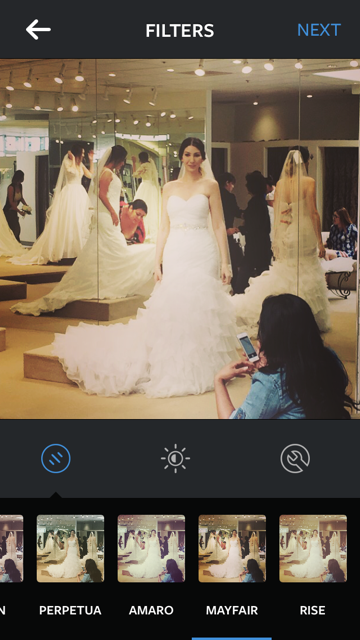 I also used the relevant hashtages “#wedding and #weddingdress. 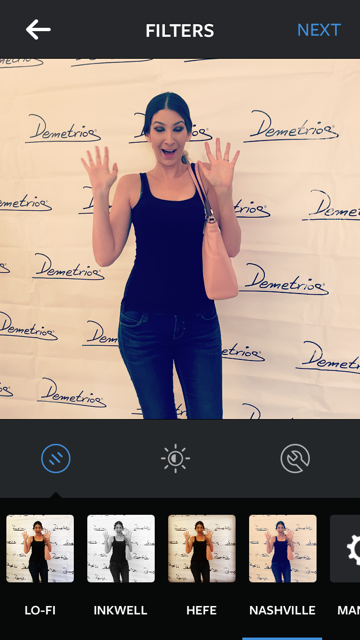 I also tagged the company using their hashtag #Demetrios. 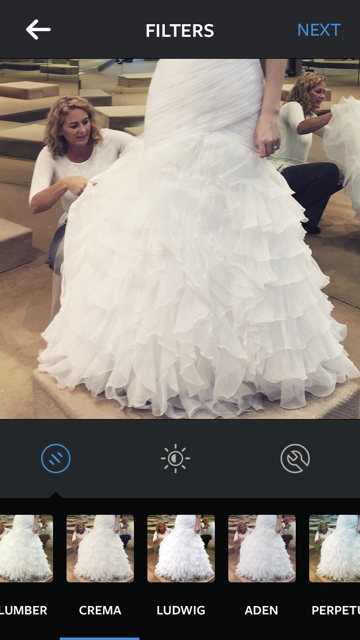 See how I added an emoji of a brunette bride? Fun right? 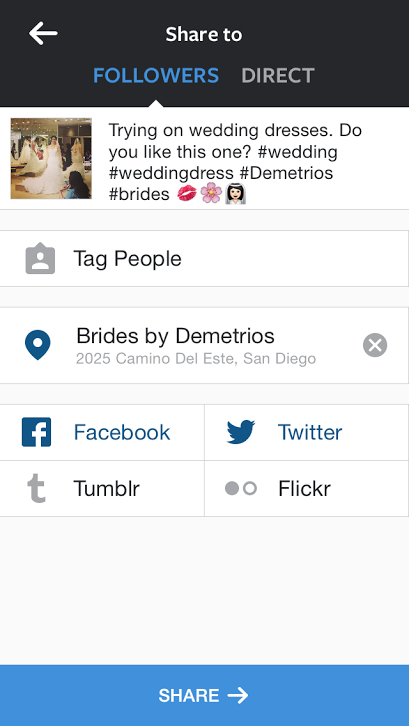 Notice, Brides by Demetrios is a national brand, with many store locations in the United States. If you’d like to focus on getting your local business started on instagram, I also wrote a more localized guide for instagram. Remember, you don’t want to over promote your business by just showing product shots. Get “behind the scenes” Mix it up. Ask, “What does my target market want to see?” Try using the 80/20 rule – 20% of your posts to promote your services/brand and 80% that really visually engages your audience. The filter selected below called “Mayfair” gets the most likes. 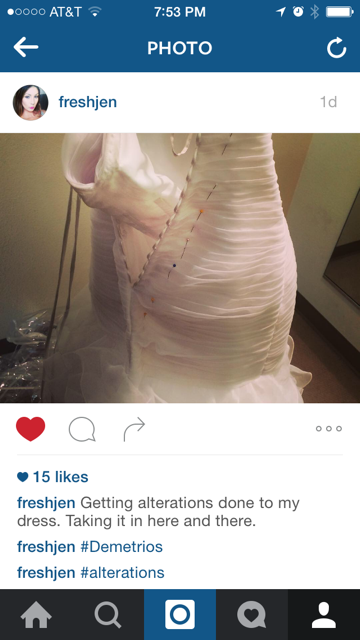 Here I am modeling my wedding dress at Brides by Demetrios, sharing my customer experience. If I was the company Brides by Demetrios, I would promote this photos. (great example) Noticed I used the instagram filter Mayfair. Do a little research what hashtags your competitors are using. There’s also an amazing companion app for instagram called: Hashtags. You can pick a hashtag category and copy/paste the hottest trending hashtag recommendations into your instagram post. Also be sure to include some related emojis to add some visual interest to the text description and hashtags. Showing “the process” “behind the scenes” what a bride can expect during the alterations process. See the pins? There you have it. I hope you enjoyed my creative ideas for marketing your business on instagram or just How to Get Your Business Started on Instagram. If you’d like to focus on getting your local business started on instagram, I also have some great tips for you too. 5 tips how to grow local instagram followers.